As of 2018, the Springador dog, a Labrador cross Springer Spaniel, has captured the 37th spot in the UK’s “top 100 list” of favorite dog breeds. This is no easy feat on its own, mind you, but in 2015, the Springador was also named as #3 on The Field Gun Dog’s list of the “21 best crossbreed dogs”! Clearly, there is something special about this Springer Lab crossbreed dog. Of course, not everyone is a big fan of crossbred or “designer” pups. These new hybrid dogs have their fans and their critics. But then again, so do certain purebred dog breeds. 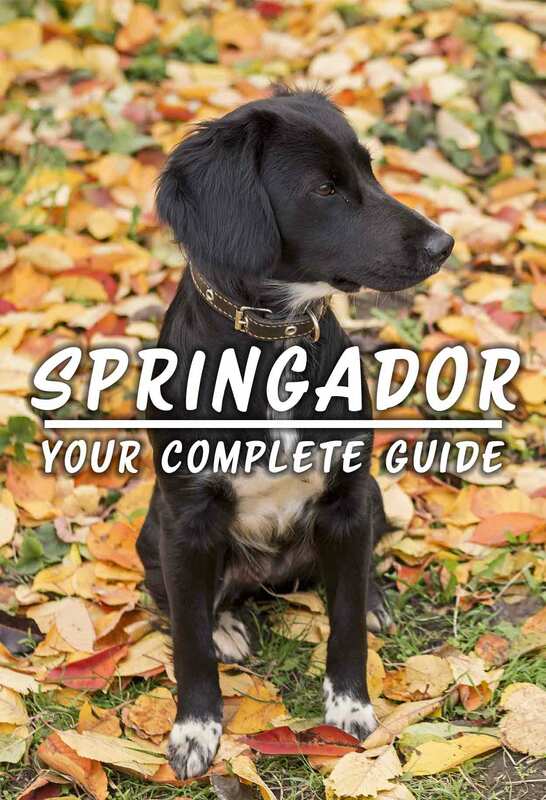 For people who love dogs and are seeking a unique dog with a specific set of strengths and attributes, find out if perhaps the Springer Lab is the perfect dog for you! Setting aside more complex issues of crossbred versus purebred for now, a Springador is the official nickname for the Labrador Springer mix breed dog. This means that all Springadors will have Labrador x Springer characteristics and traits. However, there is no way to predict in advance which of these characteristics and traits from either parent dog might manifest in a given puppy! For some dog lovers, this is a source of great adventure and anticipation. For others, it may be a less desirable aspect of bringing home a Springer Lab puppy. P.S. Sometimes the Springador is also called the Spanador, which is a play on the “Spaniel” contribution to the English Springer Spaniel Lab mix, or the Labradinger, which is a play on the “Labrador” contribution to this mixed dog breed. While there have been crossbred dog breeds since the early 21st century (and occasionally before – after all, dogs will be dogs sometimes! ), some dog owners are still just learning about breeds like the Labrador Springer Spaniel mix. 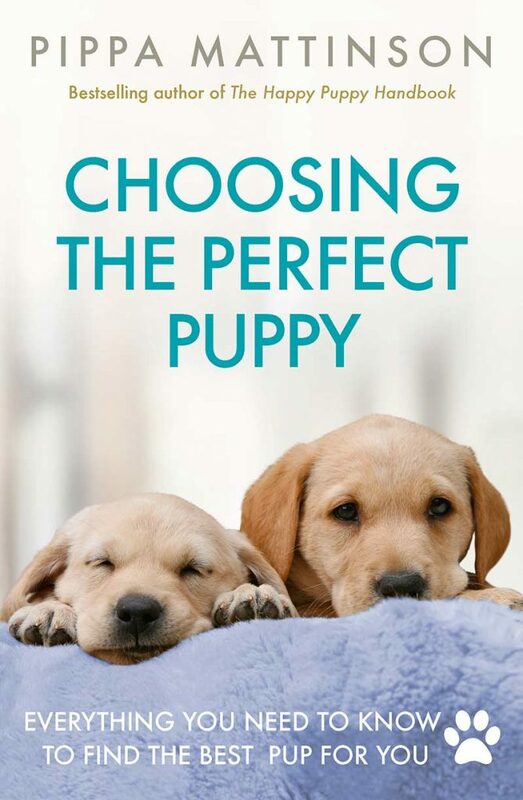 Since there can be a certain element of the unknown in every litter of hybrid puppies, one of the hands-down best ways to try to figure out what a puppy might grow up to be like is to learn as much as you possibly can about both parent dog breeds. We will start here with a brief overview of the Springer Spaniel and Labrador Retriever breed history. With a name like “Spaniel,” it is no wonder some historians feel this purebred dog breed originated in Spain. However, with a history that stretches back to 300 A.D., and plenty of competition to claim this dog breed’s origin, it is hard to know for sure who introduced who to whom. Since there are two different Springer Spaniel breeds (English Springer Spaniel, Welsh Springer Spaniel) and 10 total Spaniel breeds, figuring out exactly what Spaniel breed has co-parented your Springador puppy can be very important! Springer Spaniels were bred to be flushing dogs. Their job originally was to jump and bark and flush (spring) small game birds and furry mammals out of the underbrush to be hunted with hounds, hawks, or guns. These dogs are tireless and very, very good at their jobs! The Labrador Retriever’s history is intriguing right from the start, when you learn that the part of Canada (at that time, England’s territory) they are named for is not the part they actually came from! These dogs were originally bred in Newfoundland and called the lesser Newfoundland dog, or alternately, the St. John’s dog. The original St. John’s dog lineage is now extinct. Originally, Labradors were (no surprise here) retrievers in the field. They were working dogs who excelled at wading or swimming to retrieve downed water birds and other prey. Their thick, waterproof coat continues forward as evidence of these early beginnings. Today, there are two distinct Labrador Retriever lines, the English (show) and American (pet) lines. There are some distinct temperament and appearance differences between the two lines. So here again, it will be important to find out precisely which line the co-parent dog your Springador puppy hails from. No one is certain exactly when the hybrid dog breed named the Springador first arose in earnest. Since both Springer Spaniels and Labradors can be, well, determined when they want to make puppies, it is generally agreed that the earliest of these crossbred dogs was likely created purely by accident! But today, the Springador hybrid dog breed is a recognized crossbreed dog – officially in the UK and less officially in the United States. Part of the continuing resistance to the Springador, and to crossbred dogs in general, comes from a perspective in some circles that crossbred dogs dilute purebred dog lines that breeders have worked so hard to build. However, in certain cases, there can be an argument even among dedicated purebred breeders to introduce crossbreeding to strengthen very limited and fragile genetic lines. When done with care and planning, this can sometimes be beneficial for the healthy future of certain purebred dog breeds. While it is unlikely 100 percent of dog lovers, breeders, or club leaders will ever find agreement in the ongoing debate over purebred dogs versus mutts, or mixed breed dogs, today it is at least clear that both are here to stay. Like all other aspects of a Springador pup, Springador size can take after either parent dog in the Springer Spaniel and Lab mix. So for planning purposes, it can be helpful to look at size extremes – both small and large. In both purebred parent dog breeds, the males tend to be taller and heavier than the females. The Springer Spaniel can weigh anywhere from 40 to 50 pounds in adulthood. In terms of height (shoulder to paw pads), the Springer Spaniel is a tall dog, standing between 19 to 20 inches high. The Labrador Retriever can weigh anywhere from 55 to 80 pounds in adulthood. In terms of height, a Lab can stand anywhere from 21.5 to 24.5 inches high. A Springador puppy can weigh from 40 to 80 pounds – that is quite a range to plan for! But generally speaking, the majority of Springador pups are likely to fall into the middle weight range: 45 to 65 pounds. Heightwise, a Springador dog may not vary too much from either parent, since both are tall by nature. In most cases, your Springador puppy will be inheriting some lovely temperament genes from each parent dog. The Springer Spaniel currently ranks 26th on the American Kennel Club’s list of the top 100 most popular purebred dog breeds. These dogs are beloved in the sporting world for their incredible work ethic and intelligence. Springer Spaniels are known to have a strong drive to please their people and an equally strong need to be with people at all times. They are not going to fare well if left alone on a regular basis! They also need lots of activity to stay healthy and happy – this is not a dog breed that will sit happily on the couch for long. Springer Spaniels are not just great hunting dogs, but also make loving family pets. They are known to be good with kids and adults. However, if you have other vulnerable pets in the family, you might want to think twice about choosing a Springador dog, since they are bred to flush and hunt small, quick game prey! The Labrador Retriever currently ranks 1st on the American Kennel Club’s list of the top 100 most popular purebred dog breeds and has held this position for the past 27 consecutive years! 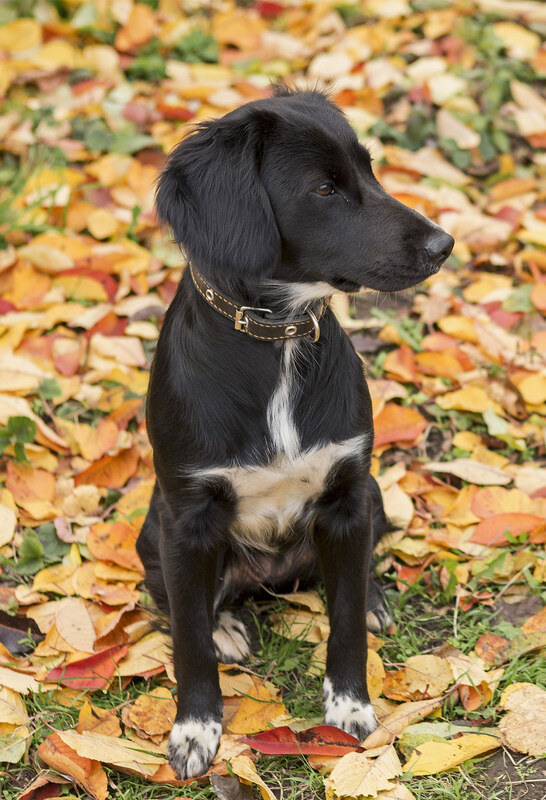 So it is no surprise that so many new hybrid dog breeds choose one parent to be a Lab, and of course the Springer x Lab mix is no exception. The Lab is known to be a very friendly family dog with a great enthusiasm for being part of your life in every way. They really love running, playing, and swimming and have a high drive to please their people. 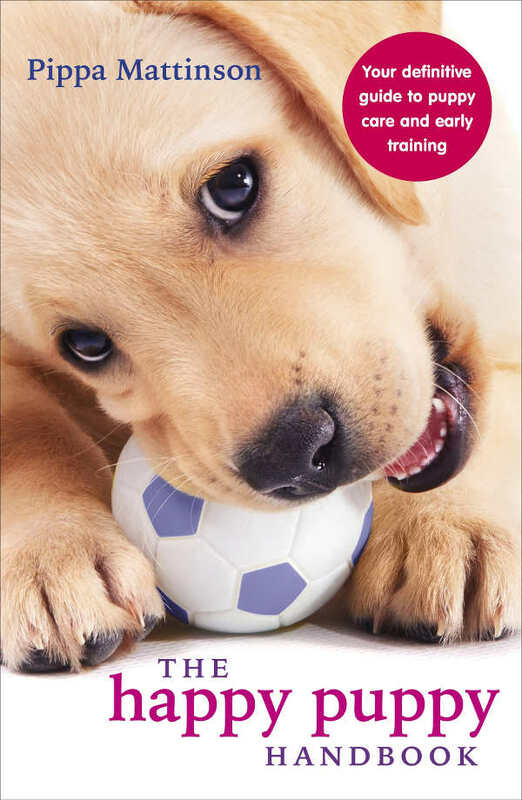 These dogs really need companionship – a Lab with too much alone-time on his hands will be a destructive Lab (as the hit book/film Marley & Me so aptly outlined). Labs are also hunting dogs, so care must be taken when socializing a Lab to accept other vulnerable family pets. However, Labs make excellent family pet dogs and are known to be great with kids. Here, you can see that your Springador puppy is likely to have high energy, a high prey drive, and a high need to be an ongoing part of an active family life. Springadors will not fare well if left to their own devices – they really need to be with people regardless of which parent dog a given puppy takes after most. As we just learned, both Labrador Retrievers and Springer Spaniels are high energy with a need to please. What does this mean in terms of training? It means there is good news in store for you in most cases! Springador puppies are set to inherit their parents drive, which bodes well for success with daily interactive training sessions! Neither the Labrador nor the Springer Spaniel is a couch potato. These dogs were born and bred to work tirelessly. If you don’t give them a job to do, they are smart and driven enough to make up their own! Labs in particular (depending on the line: English or American) can be late to mature. So that adds puppy immaturity to a natural high energy level, curiosity, and intelligence. This can be something to stay mindful of when planning your Springador’s daily schedule. This means you are most likely to see the same traits in your Springador puppy. Some dog lovers don’t mind high shedding dogs at all – they know it can just come with the territory! For others, especially if you have a family member who is more prone to pet dander allergies, you may need to know in advance if your puppy will shed a lot. As you will see, the Springador dog is not the right choice for those with pet allergies! The Springer Spaniel has a dense, beautiful coat that is especially long around the chest and legs. These dogs are show-stoppers when freshly groomed. They can look like a bad hair day on steroids when their coat is neglected! Like many working dog breeds, Springer Spaniels shed or “blow” their coat seasonally and also shed year-round. They need lots of brushing and grooming for coat and skin health. 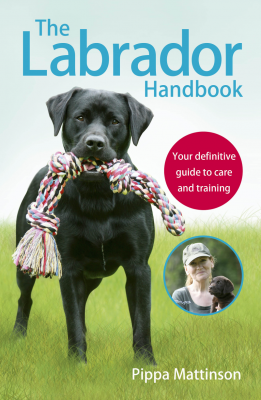 Labs have a particularly coarse, dense, thick, water-repellent coat with a thick insulating undercoat. This has arisen from their heritage as hunting/water dogs. Labs will also blow their coat seasonally and shed year-round. While their coats are short, they do need lots of regular brushing. This ensures the shedding stays manageable and their skin stays healthy. In nearly every case, a Springador puppy will come out with a dense coat that blows seasonally and sheds year-round. Whether your pup takes more after the short coat of the Lab parent or the long coat of the Spaniel parent can determine whether trips to the professional groomer may be needed as well. As for coat color, a Springador is equally likely to exhibit the classic coloration of either parent dog. For a Lab, that can be black, chocolate brown or yellow. A Springer Spaniel tends to be a brown and cream pattern. For instance, if you have your eye on a puppy to be bred from a Chocolate Lab Springer Spaniel mix, it is more likely (although not for sure) your Springador pup will be brown with cream or white markings. Genetic tests are available for all of these known issues. There is one other known health concern for Springer Spaniels that is rare but deserves a mention. It is called Springer rage syndrome, and health experts still are not sure exactly what causes it or what it actually is. This is something you will want to investigate at the breeder level. 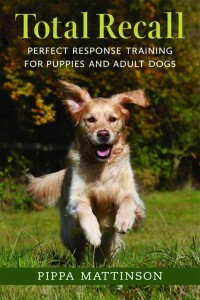 If possible, meeting and assessing both parent dogs’ temperaments can also help allay concerns. Genetic tests are available for each of these known issues. There is a great synchronicity between the two parent dog breeds regarding known genetic (heritable) health conditions. This makes it more likely your Springador puppy may inherit these conditions. Genetic testing (ideally on the parent dogs) should be a priority before you make a lifelong commitment to a Springador pup. Labradors have an average lifespan of 10 to 12 years. Springer Spaniels have an average lifespan of 12 to 14 years. 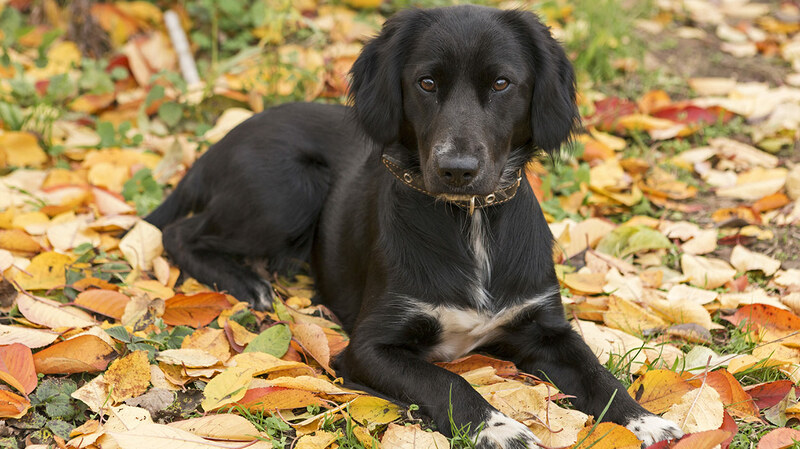 The Springador cross breed mix is popular in both the States and in the UK. However, breeders are not always easy to find. You may discover you will need to travel some distance to procure a pup. Or you may need to have the pup shipped to you. Always look for a breeder that offers an initial health guarantee and a take-back guarantee. You will also want written proof that both parent dogs have been cleared of known genetic health issues. The cost of a Springador puppy can vary widely from breeder to breeder. Parent dog lineage and past show awards, color, birth order, gender, and simple demand can all drive up prices. Labrador Retriever puppies generally cost $800 to $1,200. Springer Spaniel puppies generally cost $700 to $1,000. So you can expect a Springador puppy to cost anywhere from $700 to $1,200. Is a Springador right for me? We hope you have thoroughly enjoyed learning more about the unique hybrid dog mix that is the Springador! Is a Springador puppy in your future? Let us know in the comments here! Johnson, L., DVM, “Springer Rage Syndrome,” English Springer Spaniel Field Trial Association, 2018. Gripper, A., “Britain’s Favourite Dogs in Pictures,” The Mirror. 2018. Menzies, J., “21 Best Crossbred Dogs,” The Field Gun Dog, 2015. Dollevoet, K, et al, “Labrador Origins and Timeline,” Lorken Farms Kennels, 2018. Very difficult breed to find, I’ve been looking for one for a while. Absolutely love both breeds and have had both at times in my life. I bet it’s just an all around wonderful dog. We have just lost our Springador at age 10.